BTW - if anyone was ever a fan of the late James Michener ... there is a new James Michener. I've read 2 of his books about the UK (Sarum and London), and I recently read a particularly good one about New York. just got a new ASUS Transformer Pad which is very nice even though the touch screen has the occasional glitch (sometimes i don't even have to touch the hot spot for it to register - very strange). bought it mostly for email and e-reading so i figure i'd start reading some of the Kindle books i got last year (incidentally, the Kindle app came already installed on the Asus)..
hopefully i'll get another Kindle gift certificate for Xmas this year so i can get some more. since i liked the Hunger Games movie, maybe i'll give the books a shot since they seem popular here. Last edited by UnephenStephen; 11-09-2012 at 08:58 AM. Don't laugh, but I'm reading The Hunger Games Trilogy and I'm on the last book, "Mockingjay." I know, it's marketed to "young adults," but the truth is that it's a very intelligent, exciting and relevant series. And a total "page turner!" Somebody in the band I tour with loaned the first book to me when I forgot to bring something to read for one of our trips. I wasn't expecting much, but boy, was I surprised! I won't laugh - I read all three and enjoyed them all. Haven't seen the movie yet, but probably will soon. I saw "The Hunger Games" and enjoyed it quite a lot. Quite unexpectedly so, too. I'm currently reading "Frog And Toad Are Friends" by Arnold Lobel. I recommend it highly. An audience of seven second graders is entirely optional. since i liked the Hunger Games movie, maybe i'll give the books a shot since they seem popular here. I saw the movie after reading book #1. I thought they did a decent job, but 9 times out of 10, the book is much better than the movie and this is no exception. I think they're planning on making movies out of books #2 and 3, ala LotR. I'll definitely see them, but I wouldn't recommend passing on the books and just seeing the films; you miss A LOT that way! The authorized bio of Arthur Lee ("Forever Changes - Arthur Lee & The Book Of Love"). The man imo qualifies as both a musical visionary and a wack job of the highest magnitude (probably explains my great love for Love). I'll forward that to a buddy who is a huge Love fan. I've read books by each of those authors, but none of the ones you just mentioned. I'm kind of ashamed to admit that I've read all 5 of Koontz' "Frankenstein" series. I thought the first two were great, but the third one sucked and initially concluded the series, but then he revived it (don't ask!). I wasn't interested in continuing on with it, but a friend convinced me to, which turned out to be bad advice. IMO, he dropped the ball after book #2 and should've quit while he was ah... behind after book #3. I loved the last three Stephen King books I've read (Duma Key, 11/22/63 and Under the Dome); I think he keeps getting better and better. I'm still not crazy about his endings, but I can forgive him. I went through Grisham and Baldacci phases over the past year, but felt I needed a break after 3 novels from each. I was very disappointed in John Irving's latest (In One Person), partially because most of his books are so great. Yes, I'm a reasonably avid reader. It's because I fly a lot and I can't sleep on airplanes. Reading makes my frequent flights bearable. doesn't surprise me. didn't realize he did 5. i know it took years for #3 to come out and if i remember correctly the delay was due to some legal wrangling between him and the co-author he used for the first 2 books. i think he (DK) felt he worked better alone or something like that. have the first 2 in paperback but never read them. in fact i've bought a lot of paperbacks over the years that i never got around to reading and now probably never will with Kindle around. guess that's why Borders went out of business. Christoper Hitchens "God Is Not Great: How Religion Poisons Everything"
Salmon Rushdie "Joseph Anton: A Memoir "
Recently got a Samsung Galaxy Tab 2 7". I have to the Tab and the Kindle App has gotten me reading books again. [QUOTE=Duncan Glenday;2806]I'm also guilty of reading 3 to 4 books simultaneously. I've done that for a while too. Currently reading Larry McMurtry's Books--about his book collecting, and Ego and Hubris, a comic graphic novel written by Harvey Pekar, about a man with a high IQ that grew up in a Russian family around the NYC area. Previously read, Fatale by Brubaker, a graphic novel that's a mixture of genres: occult/horror, mystery. I thought it was pretty good the first collected book is 1-5, and the new book is due out in Jan.
Reading "Second Foundation" by Isaac Asimov, working my way through the Foundation series again. I just did that this summer. It was worth it! I wish I had stopped at the fourth one. I love the Hitchens. It gets a lot of flack because it's very simplistic philosophically, but it's not a philosophical (or even a theological) book ... it's a political refutation of ideas that are put forth in the political realm. I'm listening (audiobook) to the collection of his essays, "Arguably." Some of it is very much a response to events of the time (going back to 2006), but a lot of it is timeless. An hour long essay on Graham Greene? Why, thank you very much, I think I will! Rushdie, I also love. I'm not sure what it is with me loving cranky Brits (and I do think of Rushdie primarily as a Brit) ... Hitchens, Rushdie, Greene, Waugh, Amis (the elder), Amis (the younger). Love 'em. I'm also guilty of reading 3 to 4 books simultaneously. This is my life, also. So, I love my Kindle, I'll just say it. It did facilitate a hit to my bank account, which has made November a little rough, but it's improved my quality of life. One of the things it's brought back into my life is short stories. A completely wonderful artform that may thrive if the model of publishing doesn't require you to put out of brick with a minimum-ten-dollar price point. Right now I'm reading the stories of H. Beam Piper -- a huge collection is available for $3.99. Also, the short stories of Anton Chekov are favorites and a huge number are available for FREE. He is very very modern feeling. So, the BOOK I am currently reading is Wizards First Rule, by Terry Goodkind. I saw my daughter reading this and felt in the mood for a Fantasy epic. So far, enjoying it muchly. Earlier this year a friend introduced me to Jonathan Coe, a British author, who wrote a novel entitled The Rotters Club about 10 years ago which dealt with a group of friends and the family members in Burmingham, England in the 1970s. It was really well written, the characters were really alive. The main character actually goes and sees Hatfield and the North at a club. The name of the book being the name of a Hatfield and the North album title. Joe is a huge fan of the Canterbury scene. the book has a sequel entitled The Closed Circle and together it completes the story. Highly recommended. Now I am reading his The Winshaw Legacy (UK title: What a Carve Up) which is very witty. All in all his writing has been a great discovery. Sherlock holmes: the Complete Stories. I recently read a collection of Sherlock Holmes short stories and bought this with a view to starting with A Study in Scarlet and working my way throught everything. Until this year, I had read Conan Doyle, but never Sherlock Holmes. I am also reading The Greek Myths by Robert Graves, who is one of my favourite writers (I, Claudius and Claudius the God). Currently reading The Prague Cemetery by Umberto Eco, not far in but is entertaining and beautifully written. Me too, and I agree. LOVE Sandford! Met him at a book signing many years ago and he came across as a really nice, down-to-earth kinda guy. I've found lately that I enjoy the Virgil Flowers novels even more than the Lucas Davenport ones. 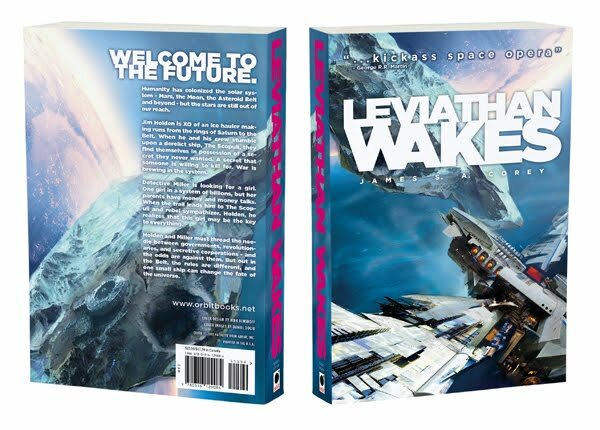 Leviathan Wakes by James S.A. Corey It's a fast-paced, gritty space opera and the first in a series. I read pretty fast but am just not getting the time to get the book finished. Sherlock holmes: the Complete Stories. I recently read a collection of Sherlock Holmes short stories and bought this with a view to starting with A Study in Scarlet and working my way throught everything. Until this year, I had read Conan Doyle, but never Sherlock Holmes. "Understanding End Times Prophecy" by Paul N. Benware, In The Court of King Crimson by Sid Smith (again!) and "All The Young Dudes" (again). What's the name of the character who is an artist and gets into weird situations? I've only read 2 of those, and also prefer them to the Davenport series.